With a keen sense for business and the intellect to invent a wide range of sophisticated printing devices, HP has released a new line of wide format printers that are redefining productivity, printing costs and quality. Just as Tony Stark designed a suit of armor to save his life and escape captivity, HP's latest wide format printers were designed to compensate for the speed and quality weaknesses identified in the large-format production printing industry. 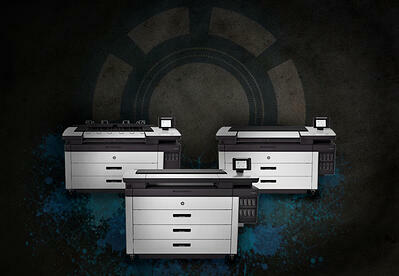 These printers prepare your organization to defeat your deadlines and vanquish production costs. Like Iron Man's assortment of high-tech suits, HP PageWide XL printers are a family of high-productivity, color printers suited for technical graphics and reproduction services. These printers have unbeatable operating and performance requirements that are not available in most wide format printers on the market today. With a PageWide XL wide format printer, your business can experience the fastest large-format monochrome and color printing with up to 50% savings in total production costs. The arc reactor, designed by Dr. Yinsen, revolutionized the way Tony Stark could survive. By using the arc reactor, Dr. Yinsen was able to prevent the shrapnel in Tony's chest from hitting his heart and killing him; the arc reactor was literally keeping him alive. Only later did Tony realize that the arc reactor also had "the ability to generate an electromagnetic field, provide clean energy and blow things up." HP channeled their inner Dr. Yinsen to apply advanced printing technologies at a scale designed to serve small work teams - referred to as HP PageWide XL Technology. While the primary purpose of the new technology was to enable faster printing capabilities without sacrificing quality; only later did HP realize the ability to reduce costs, increase energy efficiency and operate more quietly. At times we wonder if Iron Man is more machine than man; but, is the HP PageWide XL family of devices more Iron Man than printer? What we can be certain of is this: HP's PageWide XL suite is revolutionizing the wide format printing industry - and will demolish all previous expectations related to speed and quality. Updating to a HP PageWide XL wide format printer will help you conserve your resources – and that includes both time and money. This new HP Series of printers meet ENERGY STAR® guidelines and offer users low operating and standby power requirements and a low Typical Energy Consumption (TEC) of only 0.6 kilowatt hours (kWh) per week. 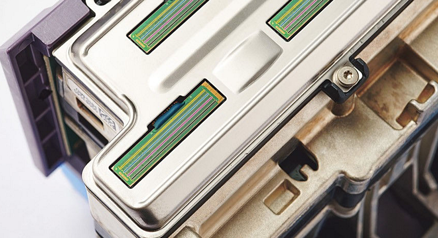 HP PageWide XL Technology saves significant power by eliminating the fuser required for toner-based printing technologies. 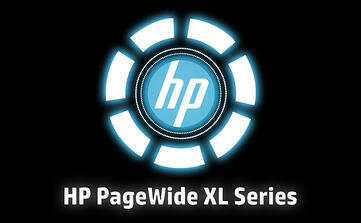 HP PageWide XL Printers offer high-speed, reliable, robust and economical printing on a wide range of media. These print solutions are scalable and versatile in design and performance to meet the needs of a broad range of applications in office, commerical and industrial printing. This advanced printing technology offers low total energy consumption, and produces color pages at up to twice the speed and up to half the printing cost. This is starting to sound all too familiar... fusion... clean energy... blowing up things (such as printing speed and costs). It's almost too "arc reactor-like" to be a coincidence. Perhaps Jarvis, the artificial intelligence that can respond to a users thoughts, will be incorporated into HP's next release of this technology. Like Stark Industries, HP believes that "introducing a new technology into a business is both an investment in the future and an expression of confidence in the technology and the company that provides it." Both Stark Industries and HP have a history rich in innovation and technological advancement - keeping our fictional world protected by advanced weapons and defense technologies and our real-world businesses printing efficiently.